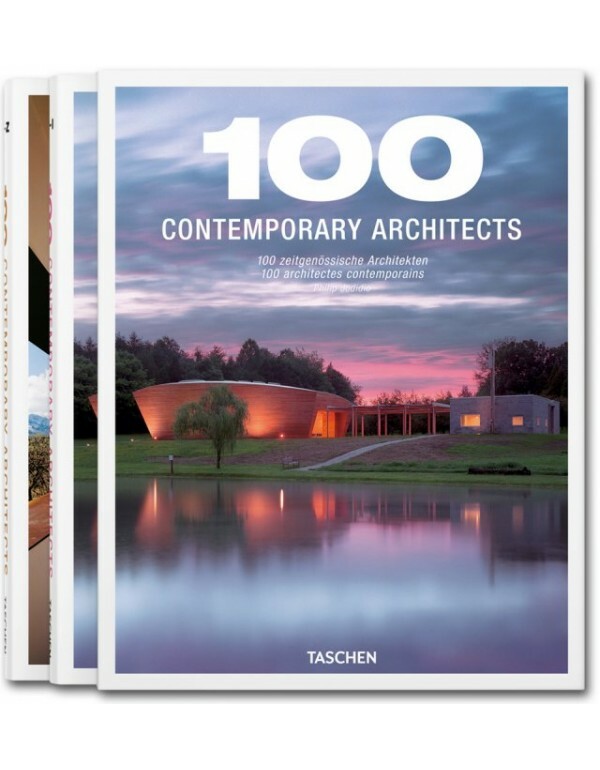 This two-volume compilation brings together highlights from TASCHEN’s groundbreaking title Building a New Millennium and the first four volumes of our renowned Architecture Now! 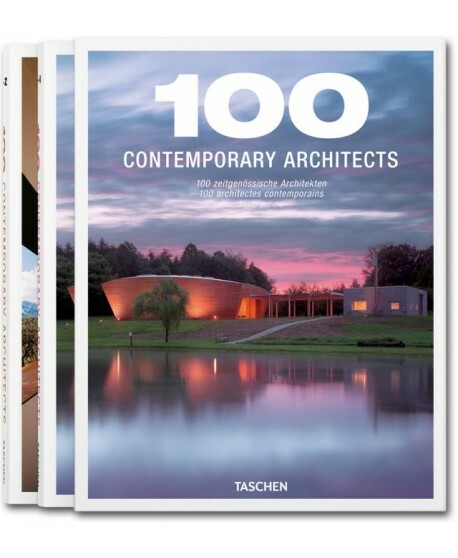 books for a comprehensive study of architecture around the world at the dawn of the 21st century. Up-and-coming architects—tomorrow’s superstars—are featured alongside the field’s most respected practitioners, such as Santiago Calatrava, Herzog & de Meuron, Koolhaas/OMA, Daniel Libeskind, Richard Meier, Oscar Niemeyer, and Jean Nouvel. It’s impossible to walk the streets of New York and not wonder what’s behind the windows and doors of the city’s panoply of residential buildings. Whether it’s a breathtaking penthouse on Fifth Avenue or an inconspicuous garden apartment in the East Village; an artist’s loft in SoHo or a private house tucked away on a quiet corner—New Yorkers know how to make their spaces both livable and imaginative, both functional and spectacular. New York Apartments takes readers through the doors of forty truly innovative dwellings and into rooms, kitchens, hallways and baths that both inspire and astound. There’s a loft on Wall Street that belies that district’s conservative flavor; a high-tech apartment that brings the future into the present; a “white apartment” that renders color superfluous; and a terrace apartment that feels miles away from its urban setting. 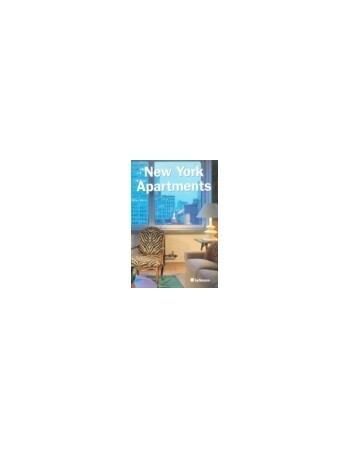 Best of all, New York Apartments displays the work and creativity of some of today’s hottest architects and interior designers—artists who know not only how to make four walls come alive, but how to preserve and celebrate the personality of those who live and work within those walls. 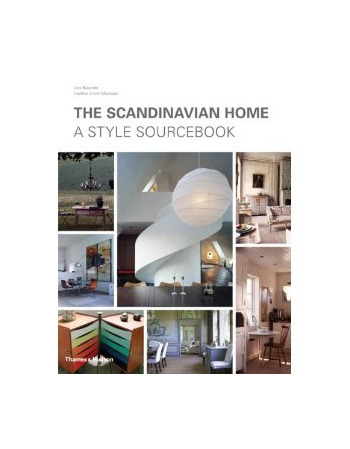 "The Scandinavian Home" is the first book devoted to the signature features of Scandinavian design past and present. Over 350 colour photographs cover every aspect of the Scandinavian design aesthetic, organised by type of space: exteriors, front halls and staircases, living rooms, dining rooms and kitchens, bedrooms and bathrooms. Pages of design inspiration are accompanied by useful paint swatches and an extensive list of sources for Scandinavian design. This book will be an essential addition to the shelves of everyone who has ever admired the subtle palette of a Gustavian room or enjoyed sitting in an Arne Jacobson chair. 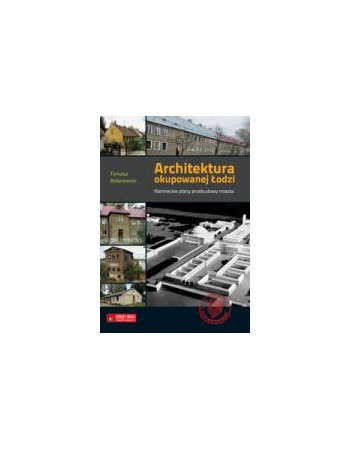 Książka Tomasza Bolanowskiego Architektura okupowanej Łodzi. Niemieckie plany przebudowy miasta przedstawia mniej znaną kartę historii Łodzi w czasie okupacji. Łódź miała się stać prawdziwym niemieckim miastem. Autor przedstawia plany, zamierzenia urbanistyczne i architektoniczne Niemców. Już w styczniu 1940 r. okupant prawie czterokrotnie powiększył administracyjne granice miasta, a w ciągu roku gotowy był Plan Gospodarczy Łodzi sporządzony przez prof. Walthera Bangerta z biura Alberta Speera. W październiku 1941 r. rozkazem Adolfa Hitlera Łódź została objęta ustawą o Neugestaltung deutscher Städte. Były to dokumenty umożliwiające jej kompleksową przebudowę. Tomasz Bolanowski w ciekawy sposób odkrywa przed Czytelnikiem kolejne etapy planowanych prac, np. 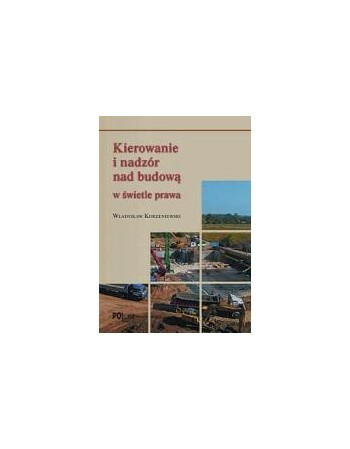 nowy układ komunikacyjny i projekty wyburzenia obiektów przemysłowych w centrum. Książka pozwoli łodzianom dostrzec historyczne oblicze ich miasta, m.in. ślady po rozpoczętej przebudowie Śródmieścia, intrygujące swoją odmiennością zespoły poniemieckich budynków przy ulicach Kalinowej, Ziołowej i na Stokach. W Łodzi można znaleźć przykłady niemal każdego rodzaju zabudowy mieszkaniowej stosowanej przez faszystów w okresie II wojny światowej. Publikacja zainteresuje nie tylko historyków, ale także miłośników Łodzi i jej architektury. Publikację wzbogacą unikatowe ilustracje, plany i projekty architektoniczne. Dostępność:na zamowienie For more than two decades, Belgian architect Vincent Van Duysen has created a series of exquisite buildings and residences, from the Low Countries to New York, with profoundly elemental spaces enriched by a refined palette of materials. The results are sublime, rich, minimal yet tactile. 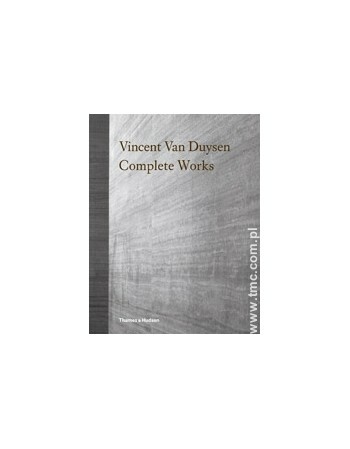 This is the complete monograph of Van Duysen’s work, including his domestic architecture, office and commercial spaces, as well as furniture and decorative objects for such leading international manufacturers as B&B Italia, Poliform and Swarovski. Van Duysen celebrates the essence of form, the elegance of proportion and the refinement of hidden details. 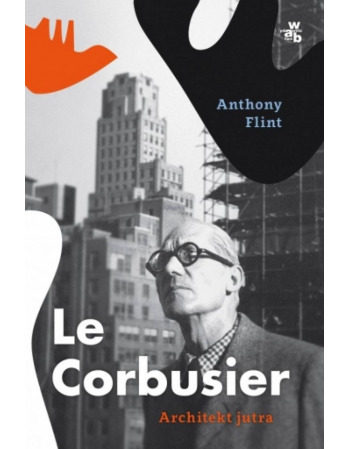 His is an architecture for connoisseurs, and this comprehensive publication reveals why he has become such a celebrated figure. Over thirty projects are presented in detail, each with a project profile, many accompanied by specially commissioned photographs, along with a complete project chronology. Collected together in a large-scale format, the book includes an introduction by noted architecture critic Marc Dubois and tributes by architects David Adjaye, Alberto Campo Baeza and Michael Gabellini, fashion designer Ann Demeulemeester and furniture designer Patricia Urquiola, all of whom provide fascinating insights into Van Duysen’s inspirational output. Status Tricii Guild jako projektanta jest legendarny. Jej firma Designer's Guild sprzedaje kolekcje jej tkanin, farb, tapet i wyposażenia na całym świecie. W tej prawdziwie osobistej publikacji Tricia odsłania wiele ze swoich źródeł inspiracji i daje wgląd w sposób swojej pracy. Ma wiele pasji - sztuka i moda, architektura i design, teatr i opera, podróże, jedzenie, kwiaty i ogrodnictwo. Inspirują ją szerokie płaszczyzny krajobrazu i najdrobniejsze szczegóły natury, tekstury i formy, światło i cień oraz przede wszystkim kolor. Ten wspaniały i eklektyczny zbiór inspiracji z różnych ścieżek jej życia i wielu regionów świata zaprezentowany jest w formie zestawionych kolekcji fotografii i tekstów. Tricia Guild's status as a designer is legendary. Her company Designer's Guild sells collections of her fabrics, paints, wallpaper, and furnishings all over the world. 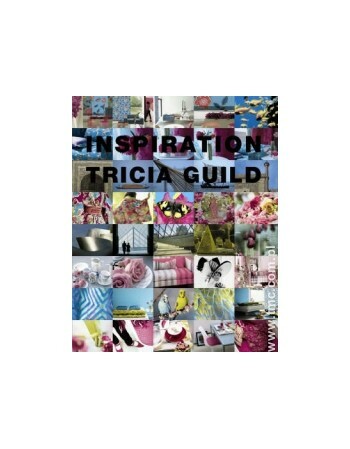 Here, in this truly personal book, Tricia reveals the many sources of her inspiration and gives an insight into the way she works. Her passions are many and various: art and fashion; architecture and design; theatre and opera; travel; food; flowers and gardening; the broad sweep of landscape and the miraculous minutiae of nature; texture and form; light and shadow; and above all, colour. This wonderful and eclectic mix of inspirations from all walks of life, and all corners of the world is presented as a collection of photographs and text grouped together, or juxtaposed, to form a dazzling, thought-provoking cornucopia of visual and literary delights to stir her many fans. Niniejsza publikacja opisuje całą paletę problemów występujących przy planowaniu, budowie oraz eksploatacji pompowni ścieków komunalnych. Nie jest w niej opisana teoria doboru pomp, natomiast znajdują się wskazówki jak uniknąć złego ich doboru. Opowiada o tym inżynier praktyk zajmujący się na co dzień projektowaniem i wykonaniem całych instalacji tłocznych. Można tu znaleźć praktyczne wskazówki dotyczące wszystkich stosowanych obecnie systemów tłoczenia ścieków - od znanych wszystkim pomp wirnikowych, po skomplikowane systemy połączenia pomp wyporowych z pneumatycznym płukaniem przewodu tłocznego. Książka skierowana jest do projektantów i użytkowników kanalizacji i oczyszczalni ścieków, pracowników naukowych wyższych uczelni, urzędów wodnych i studentów. 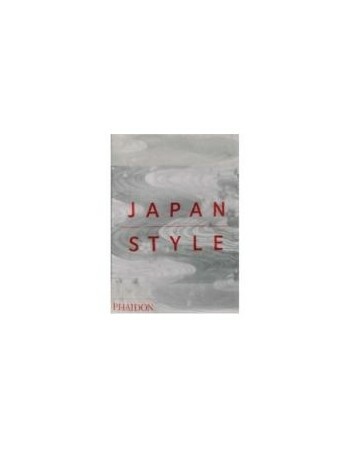 Japan Style, written by one of the world's most respected scholars of Japanese art and culture, is an authoritative and wide-ranging visual essay on the aesthetics of Japan.It serves as a unique handbook that aids an understanding of Japanese culture through its architecture, arts, crafts, cinema, and literature. It gives an insight into the essence of Japanese culture, identifying its specific qualities and characteristics from ukiyo-e to Tadao Ando. The author draws connections between art, religion, history, philosophy, and mythology, using the links to frame specific examples of Japanese cultural memes. The book features over 150 illustrations ranging from the traditional to thecontemporary. Japan Style is a perfect introduction to Japanese style and culture. Really getting away from it all is still possible--if you know where to go. This breath-taking guide profiles over 70 select resorts and hotels where you can fall asleep to just the murmuring wind or the gentle lapping of waves. Here, off the beaten track, you can savor the unspoiled wonders of our planet--in chic comfort, of course. From the jungles of Costa Rica to an Italian hill town, the compendium of footloose destinations will whisk readers away from everyday cares. Dostępność: na zamówienie Peter Exley, AIA and Sharon Exley are teachers, educative designers, and generators of good ideas; together they have amassed an impressive portfolio of interactive environments for children. Their firm, architectureisfun, develops architecture, interiors, exhibits, and learning resources for clients interested in sensorial and enlightened experiences as part of daily life. 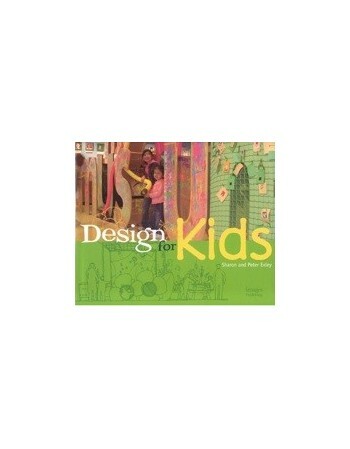 This publication examines architectureisfun's unique methodology that integrates architecture, learning, design and experience in its award-winning projects designed specifically for children. 'Kids on the Fly' at Chicago's O'Hare International Airport is one such project. This soaring exhibit received an American Institute of Architects Interior Architecture Award and is recognised for its universality, accessibility, safety, and design. 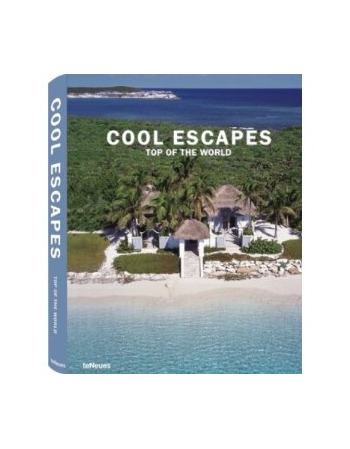 It is just one of the inventive, original and memorable projects included in this book. Dostępność: na zamówienie A comprehensive insiders guide to the Big Apple, with sections on shopping, culture, sights, restaurants, hotels, and more. Ranging from boutiques to bars, museums to landmarks, this guides got all bases covered. Sechs Jahre nach dem Terroranschlag auf das World Trade Center, nach Lähmung und Depression, ist New York wieder die Hauptstadt der Welt. Es herrscht Optimismus und Gründerzeitstimmung, die Metropole ist im Aufbruch. Nie zuvor kamen so viele Touristen in den Big Apple, New York hat wieder Strahlkraft und die Bewohner der Stadt zeigen ein neues Lebensgefühl. Die Stadt vibriert vor Geschäftigkeit, überall machen neue Geschäfte auf, werden Restaurants, Cafés und Hotels eröffnet, jeder Stadtteil zeigt seinen eigenen Stil. In New York entstehen so viele Trends wie nirgendwo, werden Lifestyles kreiert und erprobt. Auf 160 Seiten weist dieser Reiseführer einerseits auf die Klassiker der Metropole hin, ihre Wahrzeichen und Symbole, andererseits aber auf topaktuelle Highlights, angesagte Restaurants, attraktive Shoppingorte, ausgewählte Hotels und abwechslungsreiche Vergnügen. Noch nie war es aufregender und interessanter, nach New York zu reisen, als heute. Sustainable architecture is gaining in popularity as people develop an ever-greater commitment to preserving the Earth s resources. This practical new guide contains an illustrated reference section covering all aspects of sustainable building and decoration, from insulation to solar panels and from light bulbs to kitchen countertops. Thirty case studies, featuring sustainably built homes from around the world, from an ambassador s official residence to a rooftop extension, offer inspiration. 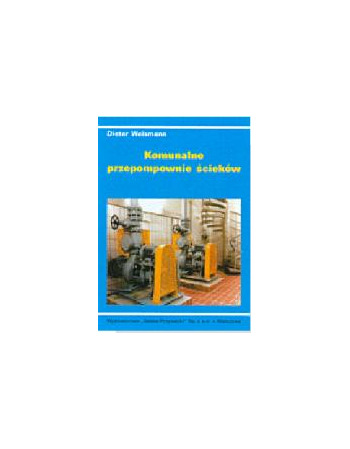 The informative text takes a balanced and realistic view of the techniques employed and explains the decisions made in the construction of each building. 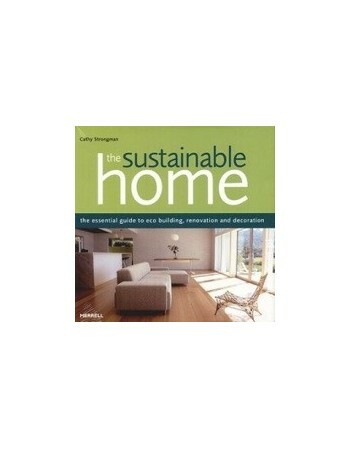 Generously illustrated with photographs and plans, The Sustainable Home will appeal as much to anyone designing an entirely new eco house as to those seeking to spruce up or extend their own home.